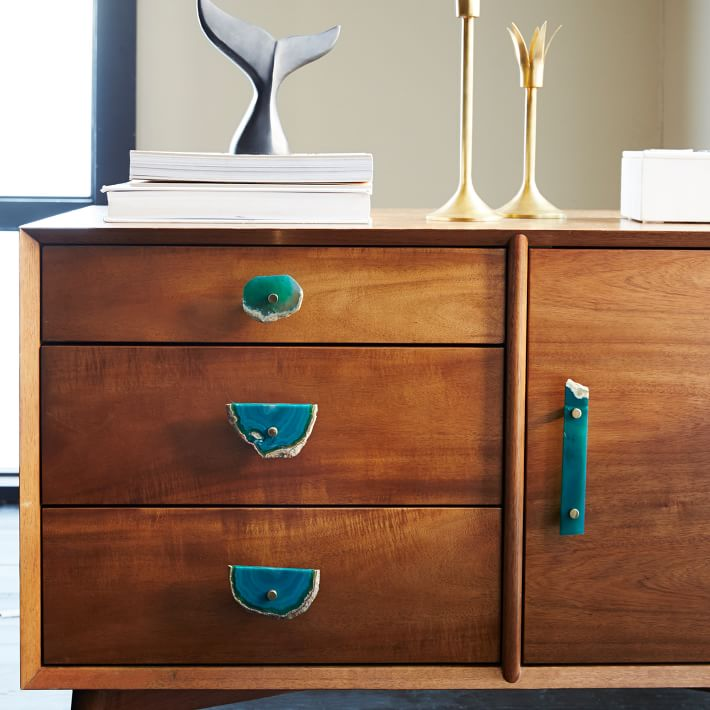 Leigh Ann Watts from Houseologie says she chooses knobs based on if she wants them to make a statement, or to blend in to let other elements shine. 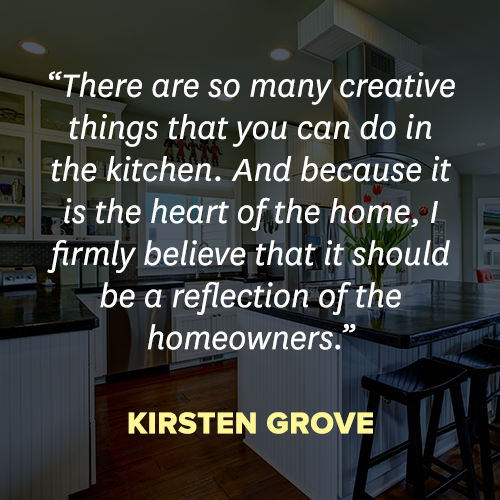 “I choose kitchen knobs that match the rest of the room decor by considering if I want them to blend in or stand out. 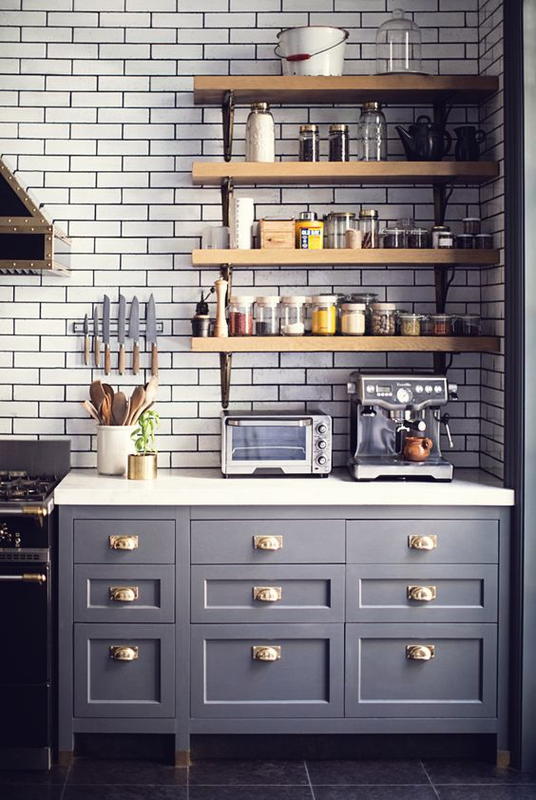 Sometimes your knobs can be total show stoppers, other times they need to blend in so the cabinets or countertops can steal the show.” Examples Of Statement Kitchen Knobs Photo Source: Brit.co Photo Source: The Kitchn Statement knobs and pulls become the main focus of your cabinets. 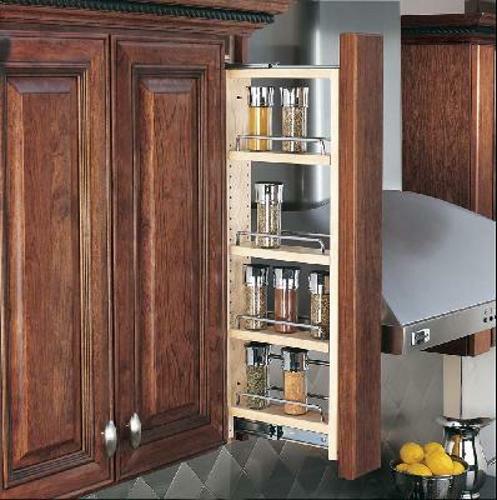 They are typically bold or flashy and stand out next to the colors of the cabinets and counters that are chosen. 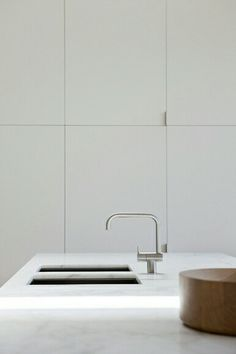 Examples Of Low Profile Kitchen Knobs Photo Source: Pinterest Photo Source: Pinterest Unlike statement knobs, low profile knobs blend in and let other elements like countertops, cabinet colors, and wood choices stand out. 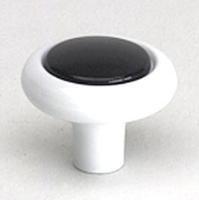 Because there are so many different interior design styles, there are a lot of different knobs and pulls on the market to coordinate with your decor. Each design style has it’s own look, color palette, furniture style, and overall feel. 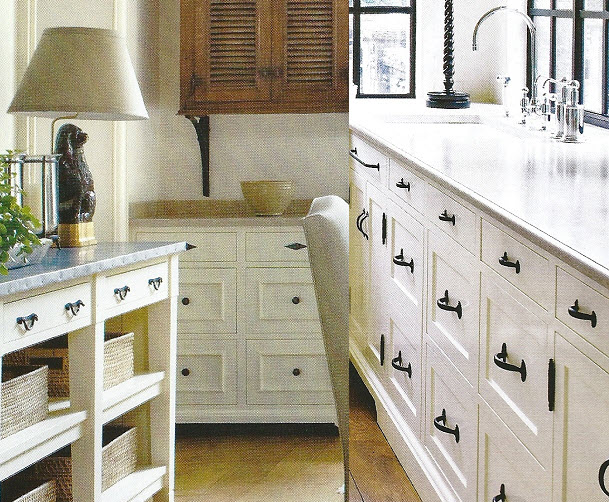 Knobs and pulls play a role in that style as well. To help you find which knob best matches your decor, we have put together a list of the most popular interior design styles, and which knob and pull goes best with that design. 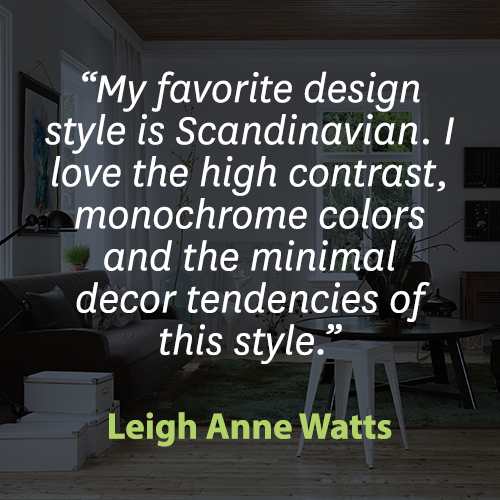 Scandinavian “My favorite design style is Scandinavian. 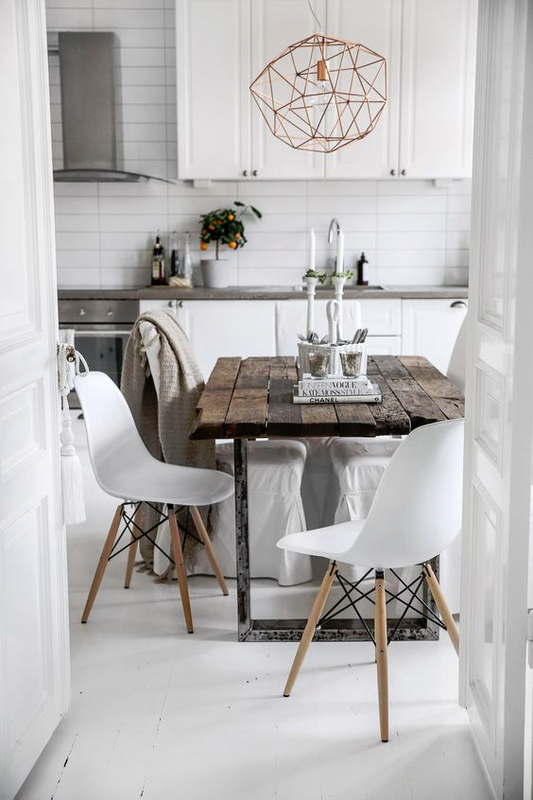 I love the high contrast, monochrome colors and the minimal decor tendencies of this style.”- Leigh Anne Watts Scandinavian design combines gentle and playful design elements with organic, industrial, and even rustic accents. There are usually a lot of geometric pieces included as well. 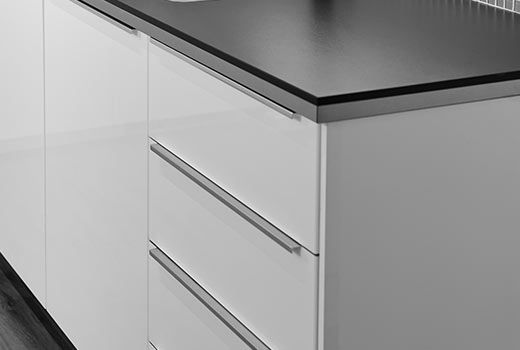 It is simple, contemporary, and functional, focusing mainly on white and grey tones. There are a lot of fluid lines in scandinavian design and usually a statement piece to focus on in the room as well. 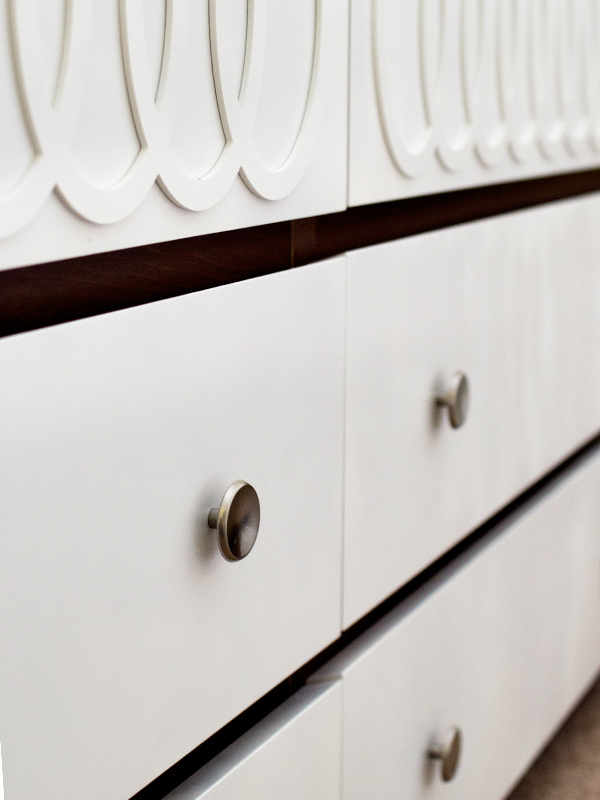 Photo Source: Froy Sleek Chrome Knobs And Pulls go well with this design. 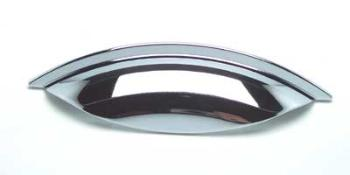 They are fluid in design as well as simplistic and gentle. They are low profile, letting other pieces stand out. Mid-Century Modern Mid-century modern is a design style that incorporates architecture, furniture, and graphic design from the middle of the 20th century (roughly 1933 to 1965). The look and style is iconic because of the creative ways it uses materials like molded plastic, plywood, and aluminum. The furniture is often simple, clean lined and made of wood. Its pieces are highly versatile and complementary. 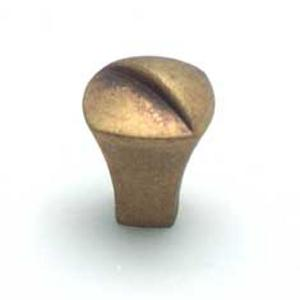 Photo Source: Froy Photo Source: Sarah Hearts Knobs that go with Mid-century modern style are simple and low profile, but have a little flair. Art Deco Art Deco embodies the style of the Roaring Twenties. The architecture, furniture, and graphic design are very bold and flashy. The design is characterized by rich colors, bold geometry, and decadent details. The shapes are lively, yet the design overall is symmetrical. The complete look evokes glamour, luxury, and order. Photo Source: Dwell Candy Photo Source: Pinterest Knobs that match this decor exude the same bold, graphic look as the overall look of the Art Deco room. The bolder and flashier the better. 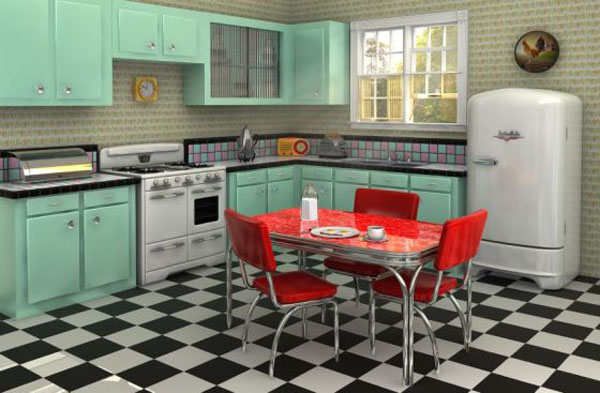 Retro Retro design embodies the best of yesteryears. The design and furniture is generally about showing off design styles from the mid 1930s through 1960s, but 1970s and 1980s styles are common as well. The furniture of each era has its own patterns, colors, finishes, and pop culture appeal that transform the space. 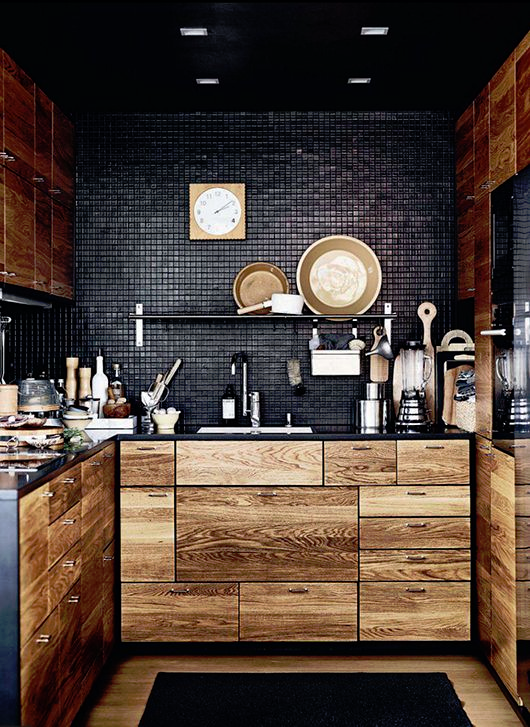 Photo Source: Furnish Burnish These white and black knobs go well with a retro theme, especially checkerboard floors. Berenson's Miami-Manhattan Collection Industrial Industrial design incorporates a lot of exposed steel and distressed wood, as well as exposed brick walls. It is common to have roughness in the design and typical to leave walls, lighting, and surfaces unfinished. Its look and feel is rustic and mature. 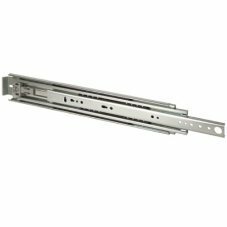 It is common in industrial design to incorporate old industrial-looking objects that are worn down or have been salvaged and recycled. 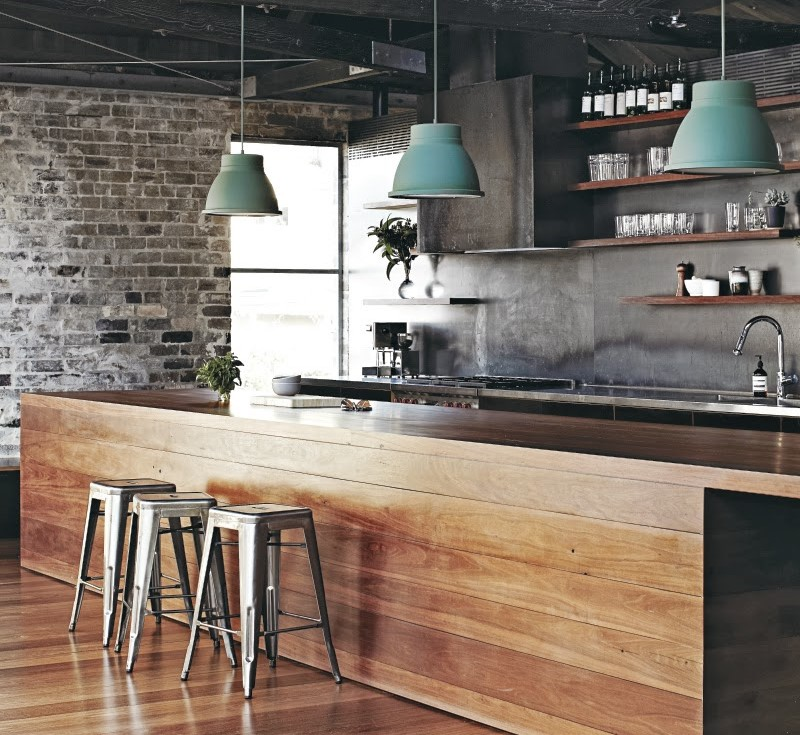 Photo Source: Froy Copper knobs are a popular way to complement an industrial room. French French design is very ornate and decorative. The color palette and accents are saturated and rich, combined with softer shades such as ivory and gold. Details often include extensive use of gold, bronze and gilt. Oftentimes one color or fabric is repeated throughout the space and many dramatic features are used. Photo Source: Decoholic This gold and white pendant knob from the Barcelona Collection is very ornate and decorative, and matches well with French style. 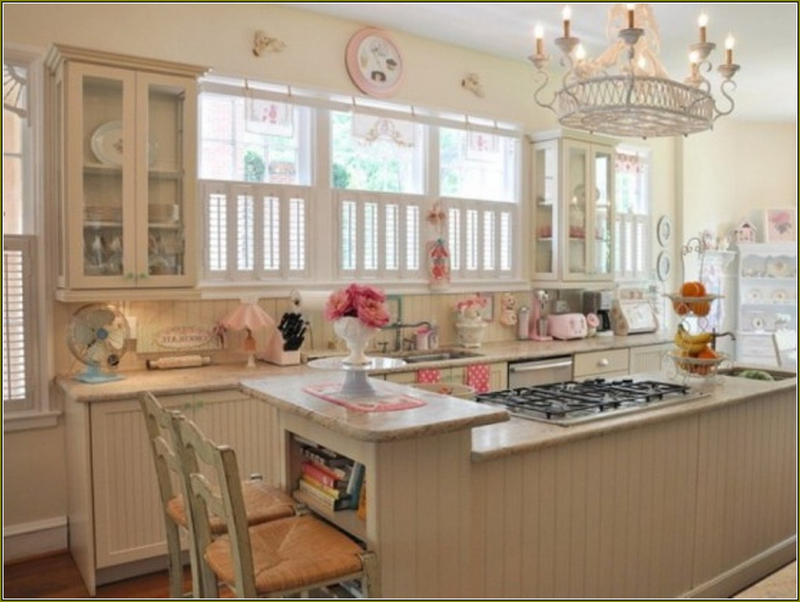 French Country French country design is a mix between country cottage and old world design. 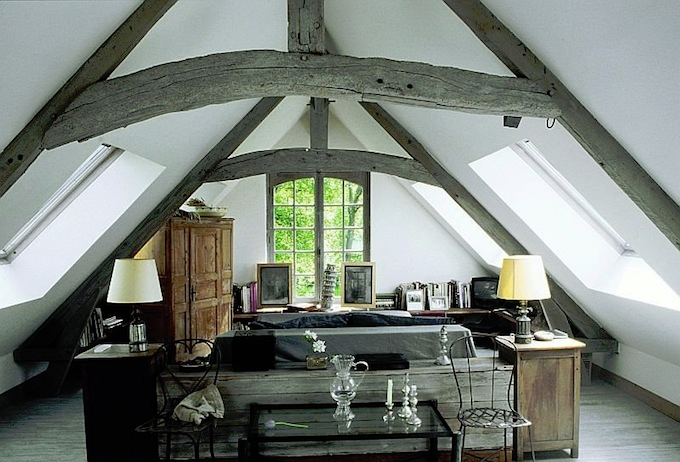 It often incorporates exposed wood beams, furniture with carved details, and stone or brick floors. Cozy rugs, copper pots, baskets, and clear vases are often included in the design scheme. 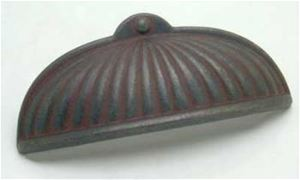 Photo Source: Dwell Candy This french iron style knob from Berenson's Provence Collection goes well with the welcoming, old world theme of french cottage. Rustic/ Farmhouse The rustic/farmhouse design style is very popular in homes today. 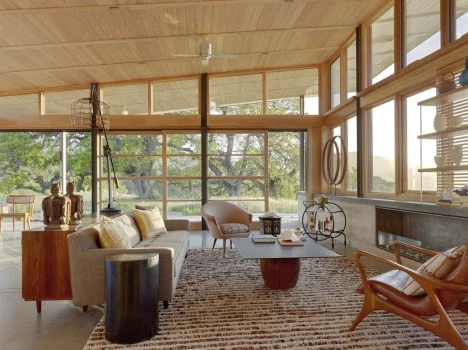 Its look and feel is a modern approach to cabin-inspired interior design. The design style incorporates natural and traditional elements with some industrial accents as well. Much of the furniture and design has an eclectic look with a distressed handcrafted feel. 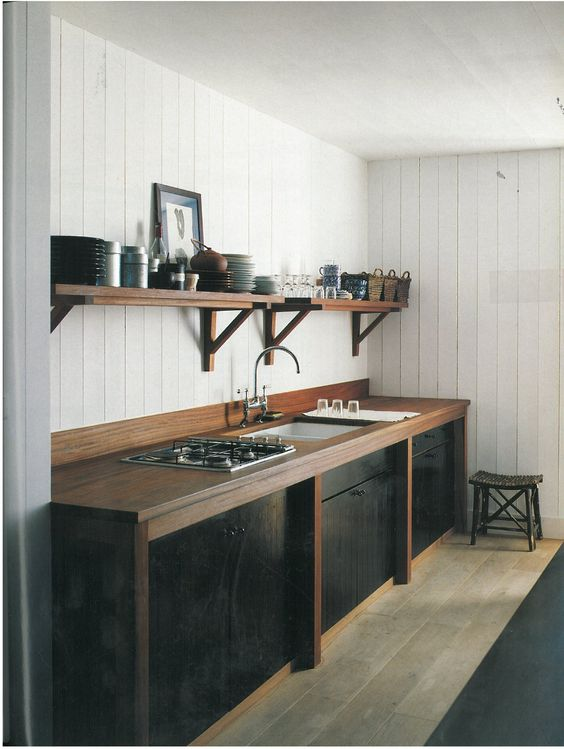 Photo Source: Better Homes And Gardens This Bronze Rust Kitchen Knob matches well with the rustic/farmhouse look. It’s distressed finish and homemade look makes it a great accent piece. Victorian Similar to French interior design, Victorian also uses warm, subdued colors with a lot of luxurious, rich, gold accents. 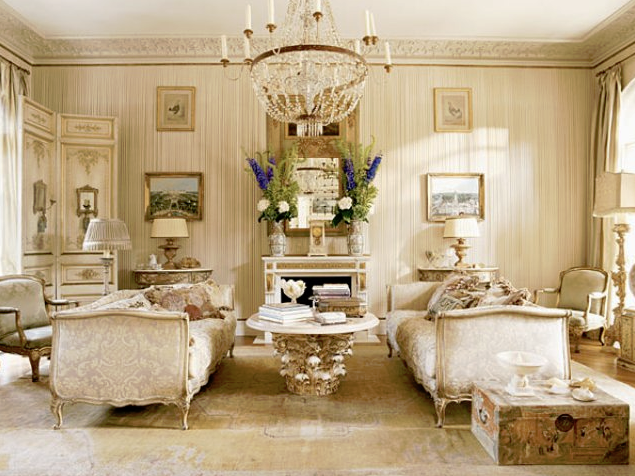 The look often incorporates lavish rugs, drapes, as well as wallpaper into its overall theme. Patterns are used abundantly as well. 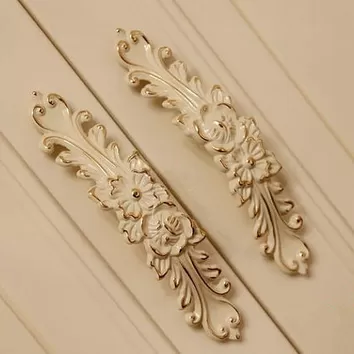 Photo Source: Three Dex Photo Source: Wanelo These ornately and exquisitely patterned cabinet pulls work well as accents for victorian decor. 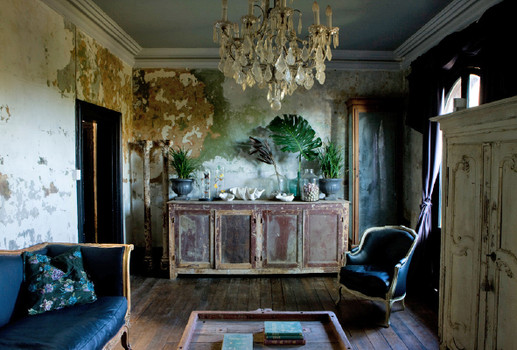 Vintage Vintage interior design creates a look and feel of charm and history. It often incorporates eclectic pieces like antiques, collectibles and flea market finds. Many things are distressed, worn down, or shabby, but vintage interior design is about embracing this look and enjoying these items by repairing or refinishing them. 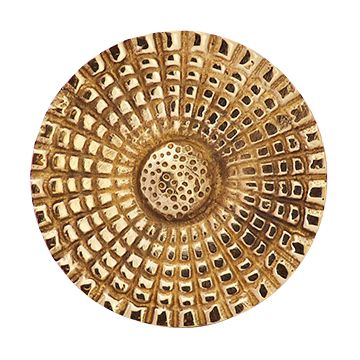 Photo Source: Dwell Candy This antique, gold retro knob from Berenson's Euro Retro Collection embodies the worn, tattered look that the Victorian embraces and shows off. 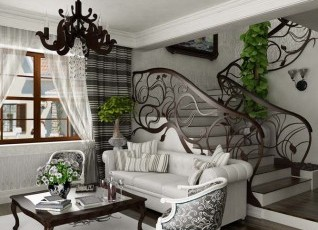 Art Nouveau Art Nouveau incorporates lavish and organic designs in its features and decor. Often featuring modern and enticing designs for the eye, Art Nouveau typically has 1 stand out piece for the whole room. The look and feel is very “fashion forward,” and often looks like a work of art throughout the space. The design incorporates lots of wooden and natural elements, and the furniture also often incorporates stylized flowers, leaves, buds, and roots. 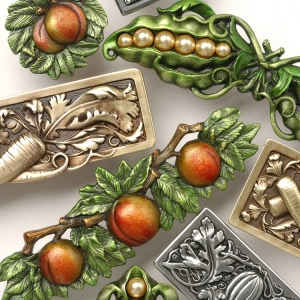 Photo Source: Architecture Art Design Photo Source: Pinterest These knobs incorporate the artistic look and natural elements that Art Nouveau embodies, and would make great accent pieces for this design style. 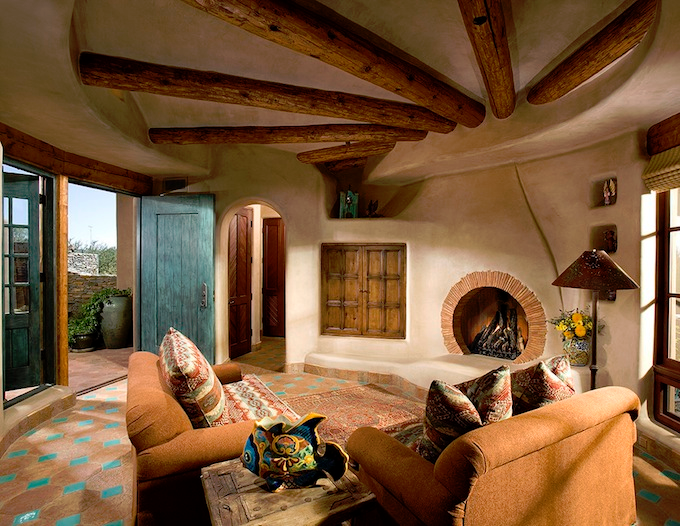 Southwestern Southwestern interior design is inspired by Spaniards, Mexicans, and Native American Indians. The look is very distinctive with lots of earthy, natural elements like exposed wood beams and distressed natural wood doors. Many floors and walls are made from natural toned terracotta and clay, and the rooms are often accented with brightly colored woven fabrics and accents. 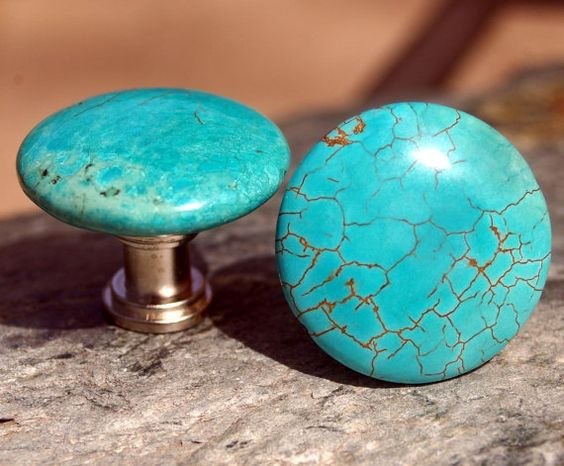 Photo Source : Dwell Candy Photo Source Pinterest Turquoise is a very common color for southwestern design and these knobs match the decor style perfectly. Shabby Chic Shabby Chic is a uniquely romantic way of decorating. 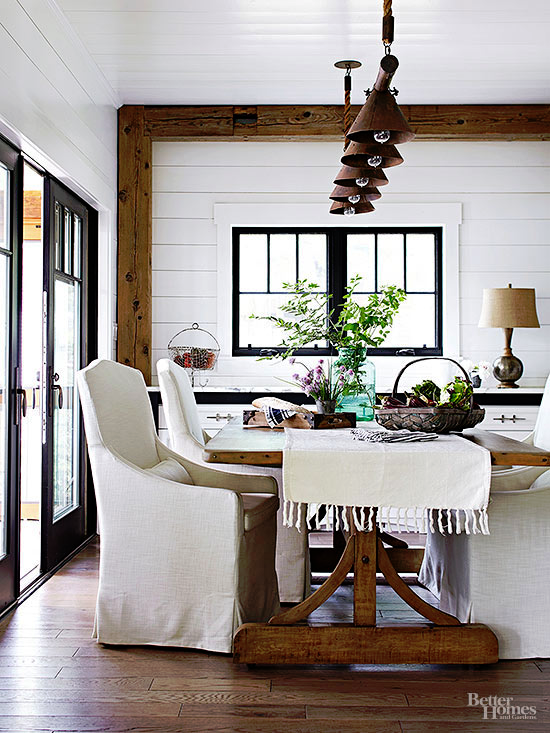 The style is soft and opulent mixed with a cottage feel and many elements that show wear and tear. The color palette is mainly whites and soft peaches and pinks. 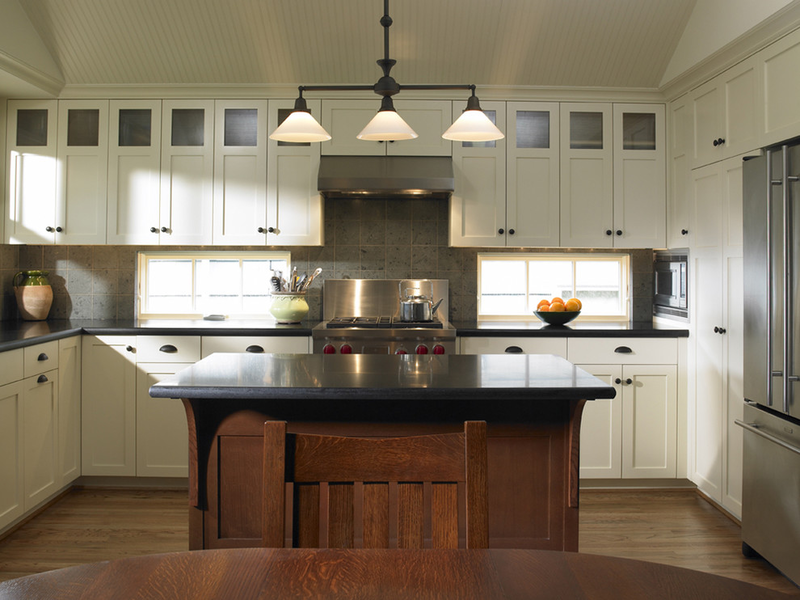 Many white wooden elements are often mixed in, from wooden trim to cabinets, shutters, and chairs. 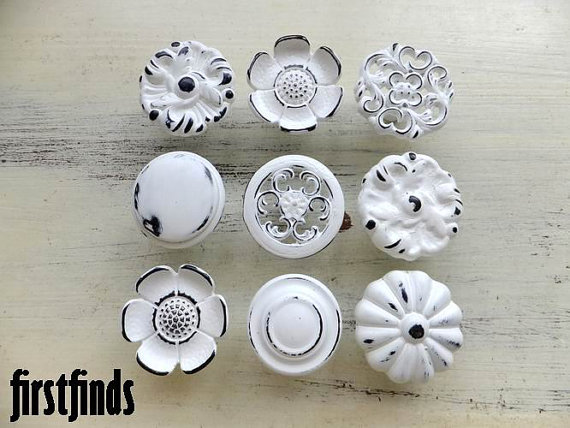 Photo Source: Pinterest Photo Source Pinterest These white shabby chic knobs are a perfect example of the distressed white look that this design style is known for. 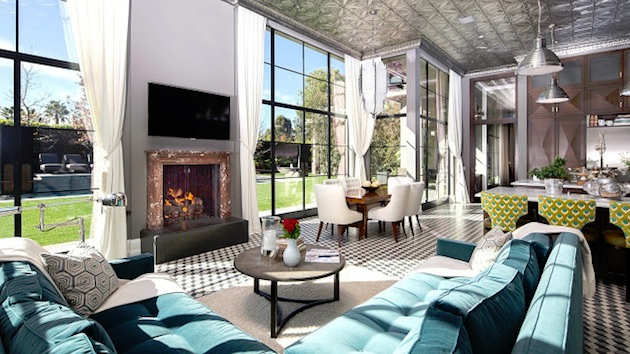 These interior design styles are just some of the more popular looks, but there many more. Whatever your favorite design style is, our hope is that this guide helps you choose the right knob to match your decor. One thing is for sure, whatever your design cup of tea is, there is a perfect knob to match it.